Researchers at the Francis Crick Institute (London, UK) have found that chemicals produced by some vegetables could help maintain a healthy gut and prevent colon cancer. The findings were recently published in Immunity. In this study the team observed that mice fed on a diet rich in indole-3-carbinol (IH3), a chemical produced when we digest vegetables from the Brassica genus (e.g. kale, cabbage, broccoli), were protected from gut inflammation and colon cancer. This study provides the first concrete evidence of how I3C in the diet can prevent colon inflammation and tumorigenesis, by activating the aryl hydrocarbon receptor (AhR). Additionally the team observed, by studying mice and mouse gut organoids, that AhR is vital for repairing damaged epithelial cells. Without AhR, intestinal stem cells fail to differentiate into specialized epithelial cells that absorb nutrients or generate protective mucus. Instead, they divide uncontrollably which can result in colon cancer. 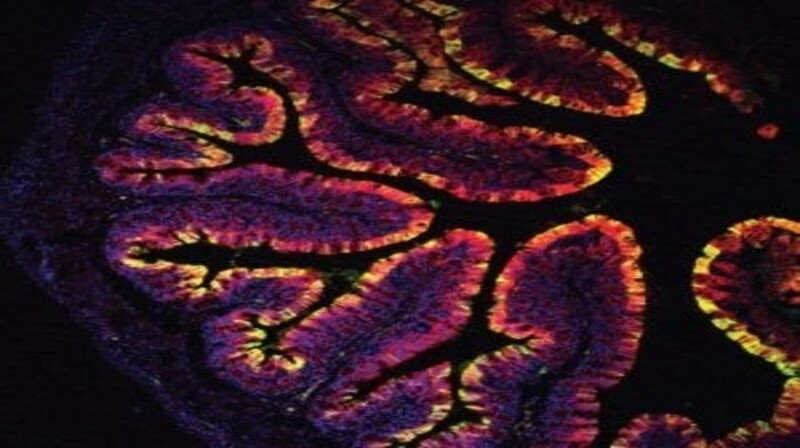 “We studied genetically modified mice that cannot produce or activate AhR in their guts, and found that they readily developed gut inflammation which progressed to colon cancer,” explained first author Amina Metidji from the Francis Crick Institute. “However, when we fed them a diet enriched with I3C, they did not develop inflammation or cancer. Interestingly, when mice whose cancer was already developing were switched to the I3C-enriched diet, they ended up with significantly fewer tumors which were also more benign,” Metidji added. The team also studied normal mice (unmodified mice with normal AhR expression) and found that whilst normal mice fed on standard or I3C-enriched food did not develop tumors during the study, those fed on a ‘purified control diet’ did.